The Children’s Aid Society is very thankful for the support of St. Peter’s Lutheran Church in Simcoe who purchased 50 gifts for our Child and Youth Christmas party. The event was held on November 29th at the Cayuga Kinsmen Hall. “This year was our 9th year,” reported Betty Brady of St. Peter’s Lutheran. 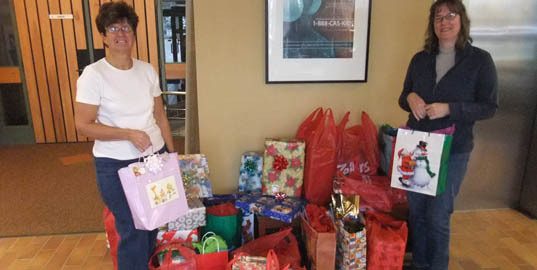 The Church is among several organizations who have supported the Child and Youth Christmas Party for several years. Other important partners who have provided ongoing support include, the Lynn Valley Lions and Laidlaw Carriers. Thanks to St. Peter’s Lutheran Church for the ongoing support as a partner in the community who nurtures the lives and dreams of children.